Mallett Hall, a National Register-listed building in constructed in 1886, houses the Town’s offices, the Historical Society, and a fraternal group. This project involved installing an ADA complaint washroom (before this project, guests and employees used a quirky, 2-story outhouse) and design of a 2,800 square foot, three-story addition to Pownal’s historic town hall. The addition provided universal access to the existing building, a new storage vault for the town records, town offices, kitchen, and meeting space. The new mechanical systems for the addition were engineered so they can be expanded to serve the existing building at a future date. We also worked closely with the State Fire Marshal to bring the existing building into Life Safety code conformance. 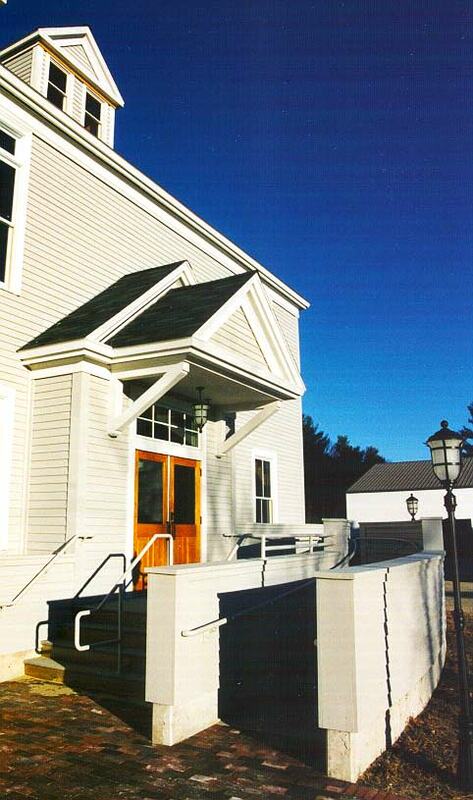 Awards: This project received a Statewide Historic Preservation Award from Maine Preservation in 2000.